LaCie, Seagate’s premium brand, is announcing the Bolt3, combining Thunderbolt 3 interface speeds with the latest M.2 PCIe SSDs to produce the world’s fastest desktop drive. 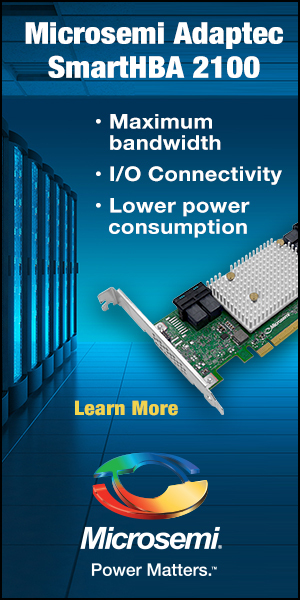 The Bolt3 enables the breakthrough performance capabilities of the Thunderbolt 3 connection, and pairs it with 2 x M.2 PCIe SSDs in a striped 2TB volume. Also being announced are the 6big Thunderbolt 3 and 12big Thunderbolt 3 desktop storage systems to assist content creation professionals working with ultra high-resolution content. 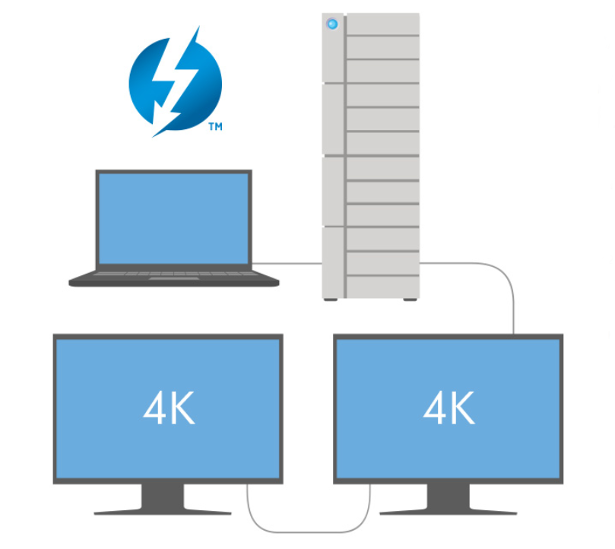 The 6big Thunderbolt 3 (up to 60TB capacity) and the 12big Thunderbolt 3 (up to 120TB capacity) are geared toward handling massive amounts of content via lightning-fast transfer speeds with enterprise-class drives with RAID 5/6 security. These newest LaCie products are designed by Neil Poulton, and are ideal complements to the all-new MacBook Pro. LaCie’s Bolt3 provides record data transfer speeds of up to 2800 MB/s, and dramatically reduces the time required for post-production tasks, such as processing RAW footage from Blackmagic® or RED® cinema cameras, or using Adobe® Premiere® Pro or Davinci Resolve to transcode 4K/5K/6K footage. Videographers are now able to transfer 1TB of 4K ProRes 4444 XQ footage from the LaCie Bolt3 to RAID storage (such as LaCie’s 12big Thunderbolt 3) in a mere 5 minutes and 11 seconds. 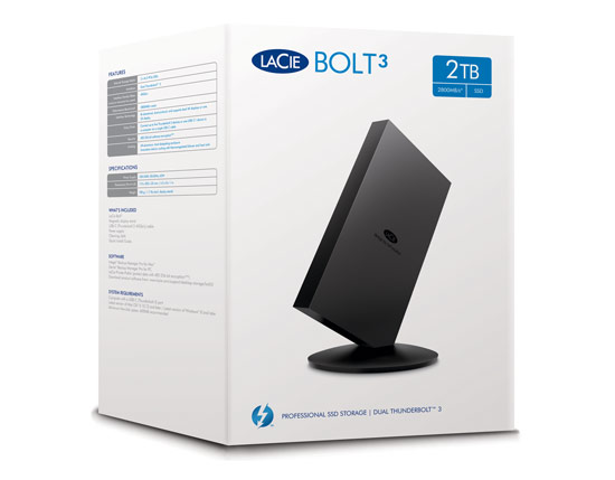 LaCie’s Bolt3 has long-term reliability engineered in to accommodate intensive storage tasks. Each housing is CNC machined from solid aluminum blanks for both superior rigidity and heat dissipation, ensuring long-term component life. The stand utilizes powerful neodymium magnets to securely dock the unit, yet is easily detachable for portability. 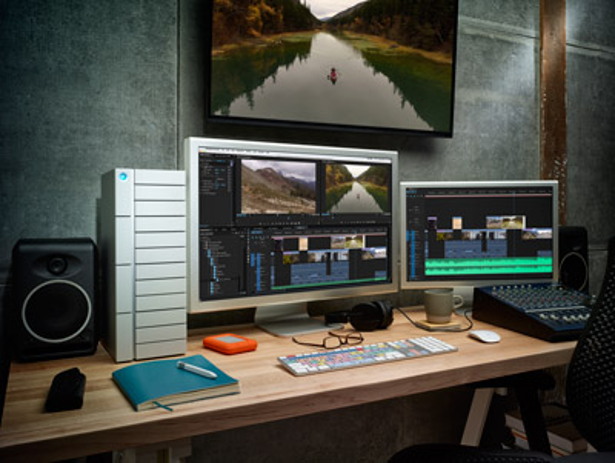 The LaCie 12big, with up to 120TB of capacity, and the LaCie 6big with up to 60TB of capacity help video professionals to meet the intense data demands of working with 4K/5K/6K cameras. 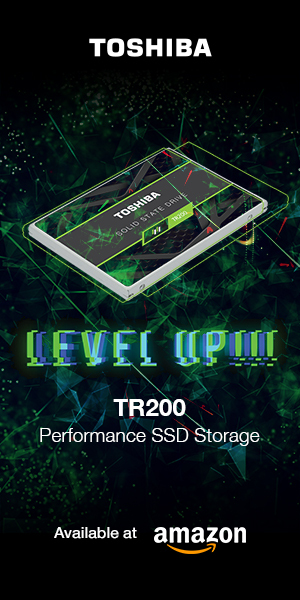 Both utilize Seagate enterprise-class HDDs with 256MB caches and 7200RPM spindle speeds for superior reliability, accessibility and robust levels of performance. 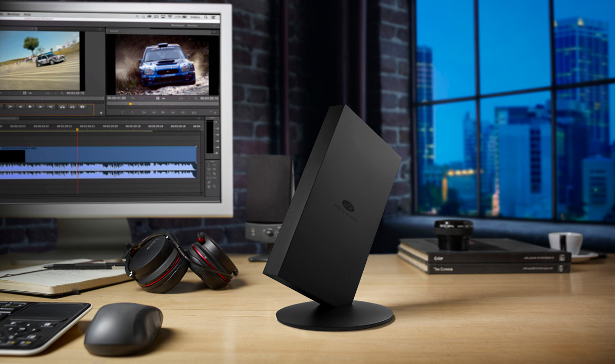 The LaCie 12big’s sequential data transfer speeds of up to 2600MB/s, and the LaCie 6big’s sequential data transfer speeds of up to 1400MB/s can dramatically slash the time required for nearly every post-production workflow task. Users are able to edit multiple streams of ProRes 422 (HQ), ProRes 4444 XQ, and even uncompressed HD 10-bit and 12-bit video files. Photographers are able to quickly transfer RAW photos, and edit in Adobe Lightroom with virtually no lag. 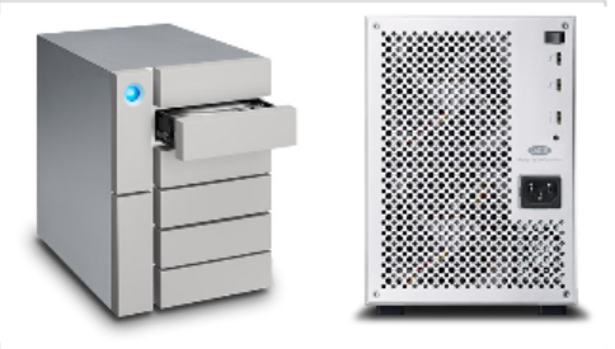 The LaCie 12big, with up to 120TB of capacity, is able to store 100 hours of 4K ProRes 4444 XQ footage in RAID 5. 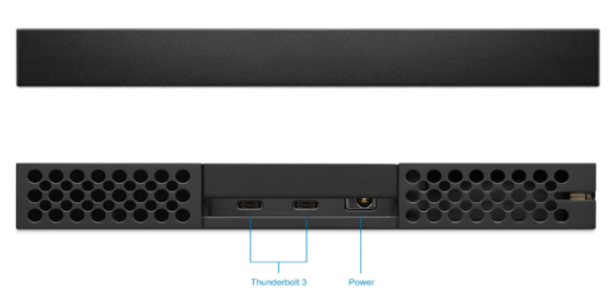 The Thunderbolt 3 connection, with double the bandwidth of previous Thunderbolt versions, allows users to “daisy chain” dual 4K displays, or a single 5K display to either the LaCie 12big or LaCie 6big. One example would be to utilize a pair of 4K displays with one dedicated to the timeline, and the other to previewing 4K footage. A compatible laptop can even be connected via the USB-C cable. Also, users are able to connect to USB 3.0 computing devices via the included USB-C to USB-A cable. Both the LaCie 12big and LaCie 6big feature front-accessible drives, allowing quick and convenient drive replacement, as well as front-facing LEDs to help monitor drive health and RAID build status. The machined aluminum enclosure is far better than plastic when it comes to heat dissipation, and two thermo-regulated fans draw heat away from internal components. 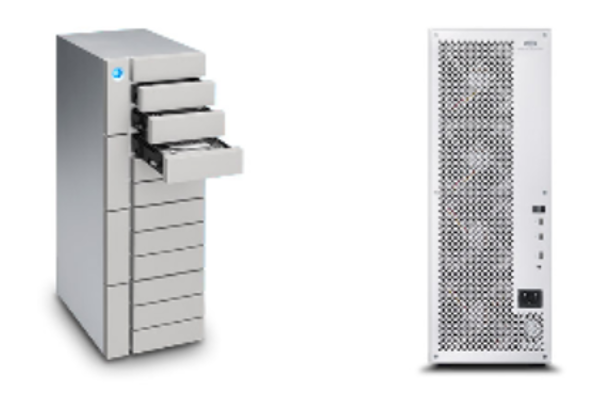 LaCie backs both models with a five-year limited warranty that covers the drives, the enclosure and spare parts. LaCie is partnered with Pelican Products to provide custom cases to safely transport your LaCie 12big or LaCie 6big to and from the set or work location. The Pelican™ Storm Case™ is an injection-molded enclosure made from HPX® high-performance resin, creating a case that is resistant to dents and scratches, and is virtually unbreakable. The custom durable foam inserts readily house either model, as well as extra LaCie Rugged® drives and accessories (such as a power supply and/or cables). The Pelican cases are watertight, airtight, and Pelican backs them with a lifetime warranty. As far as availability, the LaCie Bolt3 will be offered in a 2TB SSD capacity with an MSRP of $1999.00. 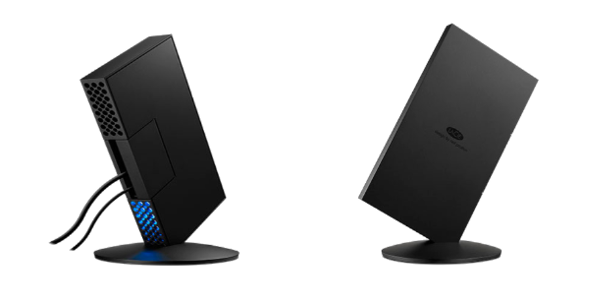 The LaCie 6big will be offered in capacities of 24TB, 36TB, 48TB and 60TB starting at an MSRP of $3199.00. The LaCie 12big will be offered in capacities of 48TB, 72TB, 96TB and 120TB starting at an MSRP of $6399.00. Pelican’s custom Storm cases begin at an MSRP of $349.00. All of the above are anticipated to be available for purchase later in Q4 of 2016. For more information, you can view the product page for the LaCie Bolt3 here, and for the LaCie 12big and LaCie 6big here. The press release announcing LaCie’s latest can be viewed in its entirety here.